It happens to everyone. One second, you're cleaning the dishes from Thanksgiving dinner, and the next, you realize Christmas is only a couple days away and you've forgotten to do your Christmas shopping! 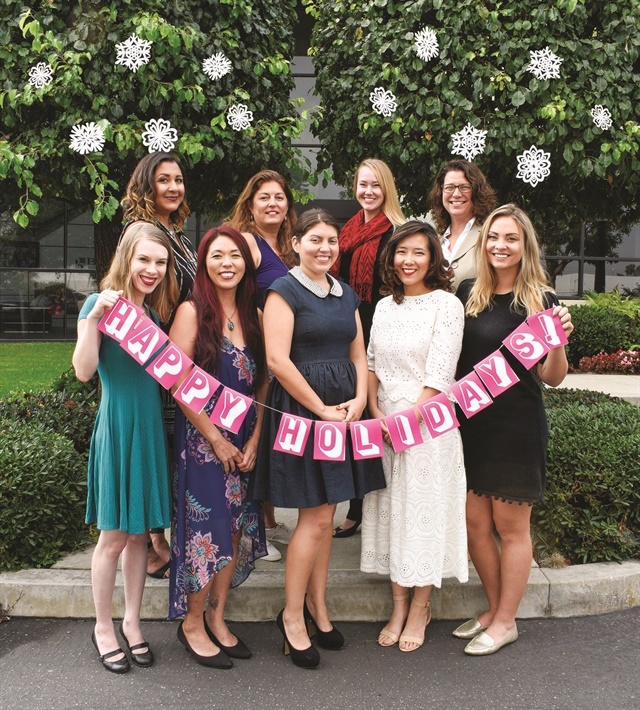 Life gets busy during the holidays, and this is especially true for nail techs. That's why OPI has your back! 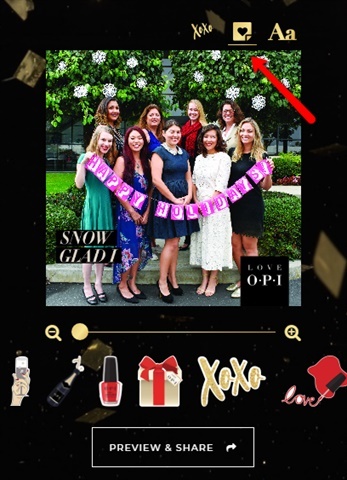 Create custom holiday e-cards that are decked out with nail gear. 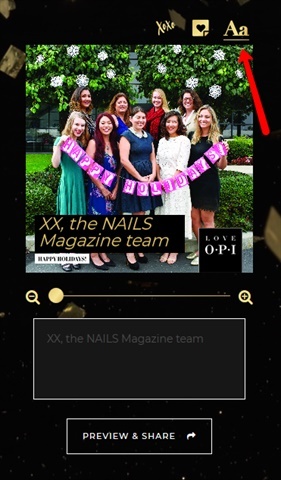 You can share the cards to social media or via email for a more personal touch. 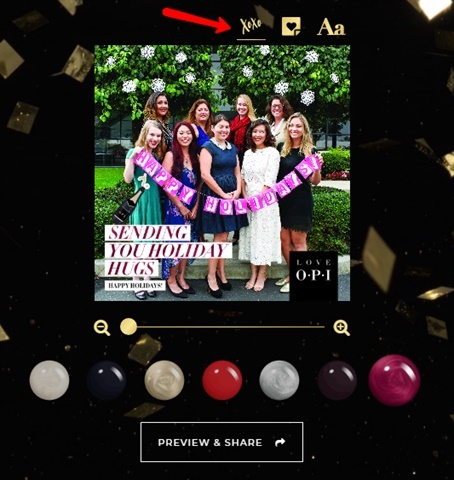 Step One: Go to www.opi.com and click to begin creating your own personalized holiday e-card. 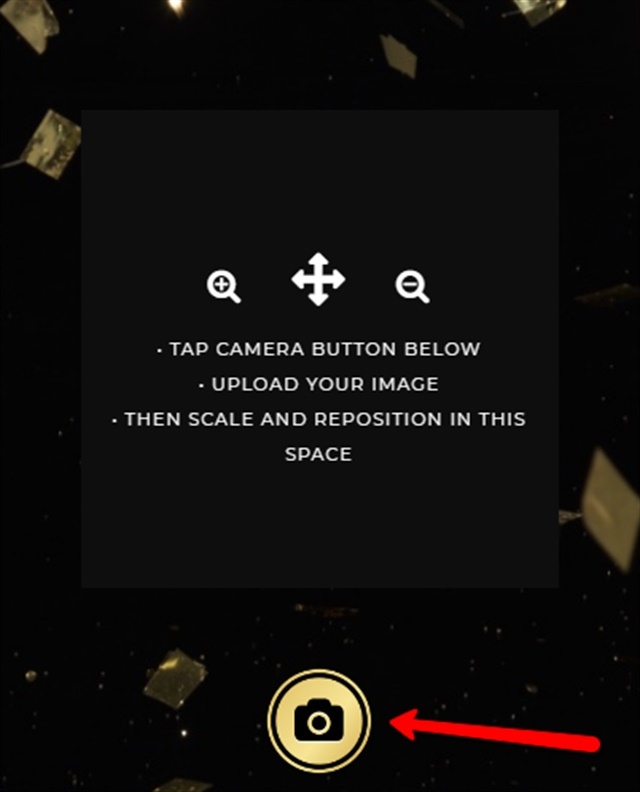 Step two: Upload a photo from your computer. Step three: Choose a preset holiday message! 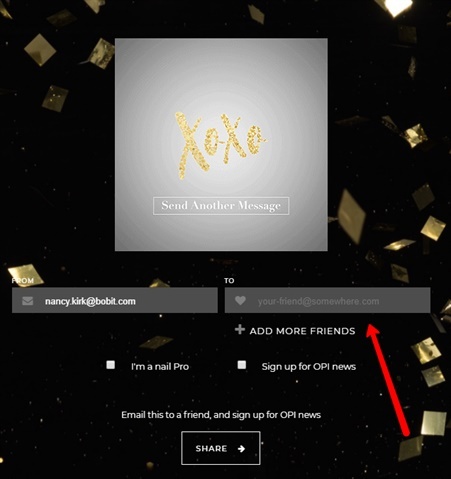 Step four: Or you can create a customized holiday message. Step five: Add some nail swag with the sticker button. Step six: Send it off to clients, coworkers, collegues, friends, and family! Step seven: Relax and enjoy the holidays with friends and family.